This event "DNA BLN #6" @ Musik & Frieden has already ended on 03/02/2016. Here you can find upcoming events for this location! The deadline at our guest list has ended on 03/02/2016 at 5:00 PM. The deadline at our lottery has ended on 03/02/2016 at 3:00 PM. WE ARE BACK! Berlin's creative scene is more alive then ever and DNA BLN (Discover New Artists) is all about live music and art. 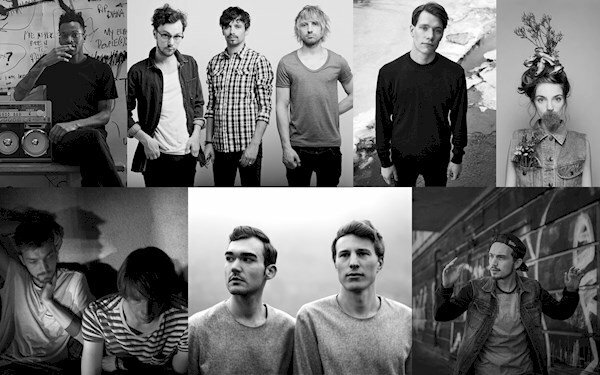 We bring you once again the hottest most talented new acts for you to discover, local and international artists, musically and visually, in Berlin. 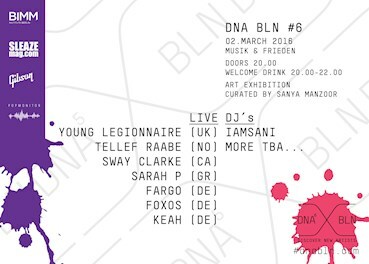 DNA BLN is a collision of different creative communities bringing together visionary people from various art scenes and promoting the interaction between artists and the public. An event experience centered on introducing new music of all genres as well as incorporating Visual and Media Arts, DJ’s and more.